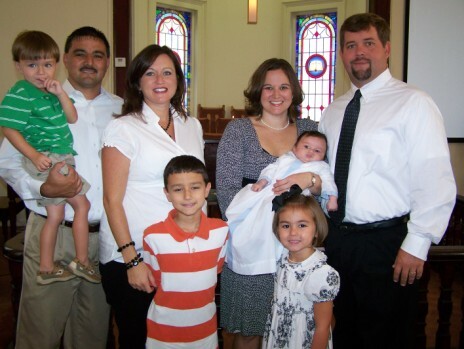 Sam was christened on Sunday, September 14, 2008 at Crawford United Methodist by Brother Mike Koger. It was a wonderful ceremony and such a special moment for us all! Sam didn't necessarily love it, but that could have been because of the present he had in his diaper...God has blessed our family in such a special way!